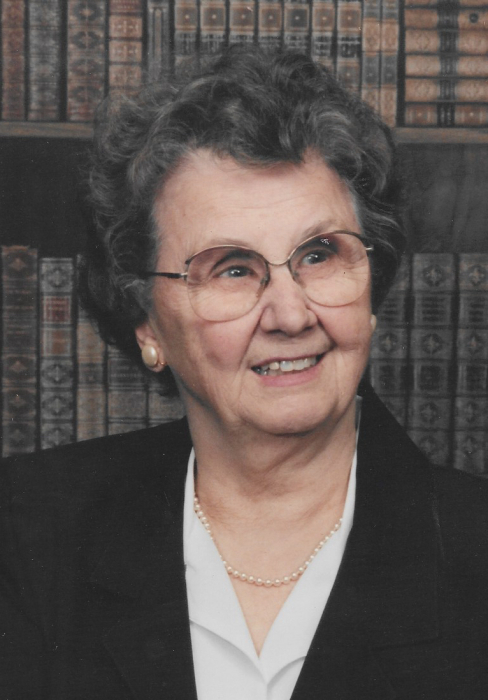 KIRCHMEYER, BERNADINE T. “BERNIE” (MALIKOWSKI) age 101, of Harrisville and formerly of Coventry, passed away on Wednesday, January 16, 2019 in the arms of her loving children. She was the wife of the late Richard H. Kirchmeyer II and the daughter of the late Felix and Martha (Kowalski) Malikowski. Bernie was a life long resident of Coventry. She retired in 1981 as Coventry Deputy Town Clerk. She was a long time member of the RI Sound Womens Barbershoppers Chorus. She also volunteered for many years at McAuley House and several food banks. Bernie was a member of the OLC Ladies Rosary Society and the Church choir. Bernie was dedicated to her family and friends, and will be remembered as a loving and caring soul. She will be missed by so many. Bernie is survived by her daughter Anne M. Brown and husband James and her son John B. Kirchmeyer and wife Laurie. She was predeceased by her son Richard H. Kirchmeyer III. Bernie was the mother-in-law of Pauline Kirchmeyer. She was the grandmother of Paul Brown, Shelly Martel, Leah Normandin, Amy Brown, Richard, Heidi and Mark Kirchmeyer, Kerri-Lyn Hinz, Kristin Palumbo, and Jason Kirchmeyer. She is also survived by 14 great-grandchildren. Bernie was the sister of the late Rudolph, Ted, Stanley and Joseph Malikowski, Blandine Chrupcala, and Dorothy Bochenek. Relatives and friends are invited to a Concelebrated Mass of Christian Burial on Tuesday, January 22, 2019 at 10 am at Our Lady of Czenstochowa Church, 445 Washington St., Coventry, RI 02816. Interment at the RI Veterans Memorial Cemetery in Exeter. Visiting hours and flowers are respectfully omitted, memorial donations to Our Lady of Czenstochowa Church would be appreciated. Arrangements by the Iannotti Funeral Home, Coventry.